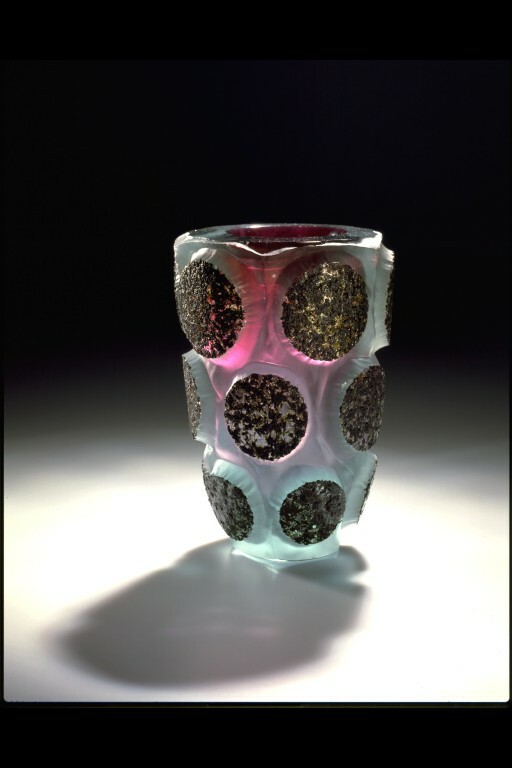 The dramatic surface decoration on this vase is a combination of hot glass and cold glass techniques. 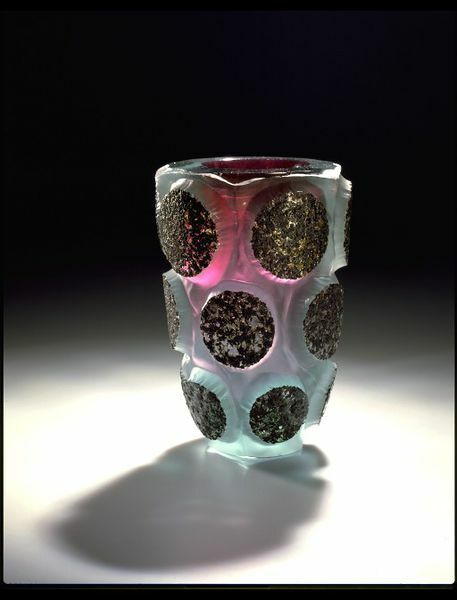 The hot glass technique is marvering, which involves rolling the object on a flat surface to pick up, in this example, iron filings. 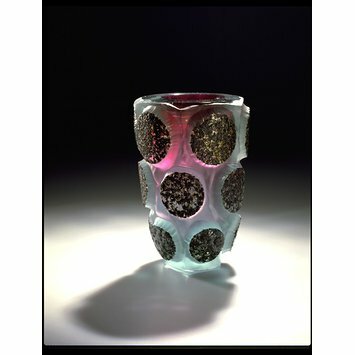 The cold glass technique is sand-blasting, which the American glassmaker Michael Glancy (b.1950) uses to sculpt his glass designs. It involves ‘blasting’ cold glass with a high speed jet of a fine abrasive either to sculpt the piece, or to create a matt finish or, using a mask, a design.